petition: DreamWorks: Stop Whitewashing Asian Characters! DreamWorks: Stop Whitewashing Asian Characters! 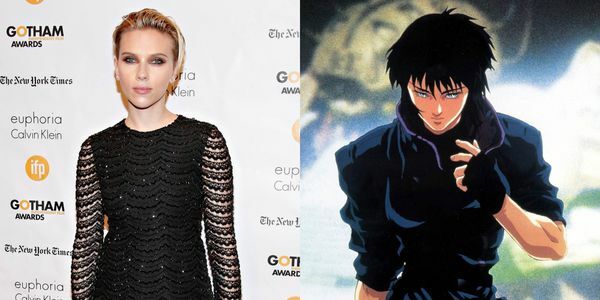 Fans of the iconic 1995 animated Japanese sci-fi film Ghost in the Shell have been anticipating a live-action remake for years -- but now, instead of casting an Asian actress, Dreamworks has selected Scarlett Johansson for the lead role! The film revolves around Major Motoko Kusanagi, a member of a futuristic security force tasked with tracking a mysterious hacker. The original film is set in Japan, and the major cast members are Japanese. So why would the American remake star a white actress? The industry is already unfriendly to Asian actors without roles in major films being changed to exclude them. One recent survey found that in 2013, Asian characters made up only 4.4% of speaking roles in top-grossing Hollywood films. Dreamworks could be using this film to help provide opportunities for Asian-American actors in a market with few opportunities for them to shine -- please sign the petition asking them to reconsider casting Scarlett Johansson in Ghost in the Shell and select actors who are truer to the cast of the original film! As moviegoers and fans of the original 1995 Ghost in the Shell film, we respectfully request that you cast an actor of Asian descent for the lead role of Motoko Kusanagi rather than Scarlett Johansson. The American film industry is already unfriendly to Asian actors without roles in major films being changed to exclude them. One recent survey found that in 2013, Asian characters made up only 4.4% of speaking roles in top-grossing Hollywood films. Please use this opportunity to help talented Asian-American actors receive recognition for their work. There are so few opportunities for them to shine in Hollywood, and this film would be a perfect platform.